"[349b] Are You a Suffragist? [back]" by J.M.P. 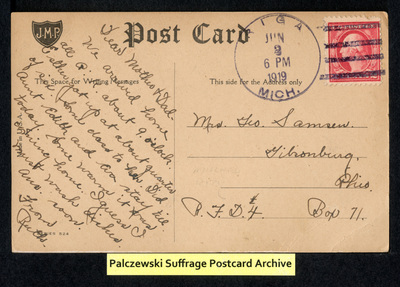 Are You a Suffragist? Yew jes' bet I am! Suffered from chills an' fever for forty year!